This is a wonderfully smooth and luxurious premium bar of soap. In this premium bar of soap we have combined the healing, nourishing and moisturising properties of Coconut oil, Neem oil and Jojoba oil. In addition it contains extracts of Neem leaf, Turmeric and Basil. Their antibacterial and skin healing properties helps to control acne. 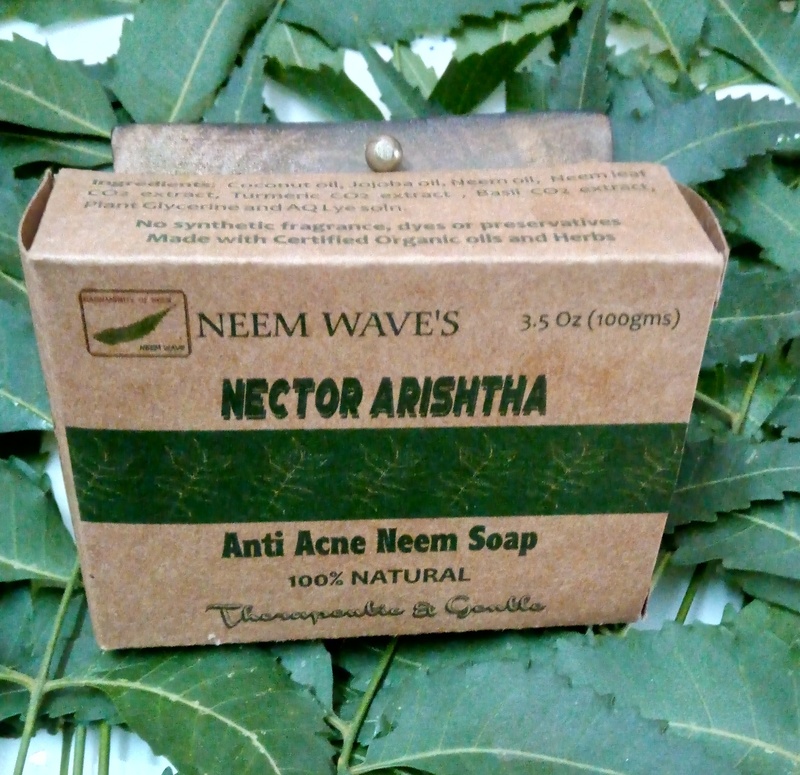 Neem oil helps in balancing the production of sebum; too much sebum causes more acne outbreaks. 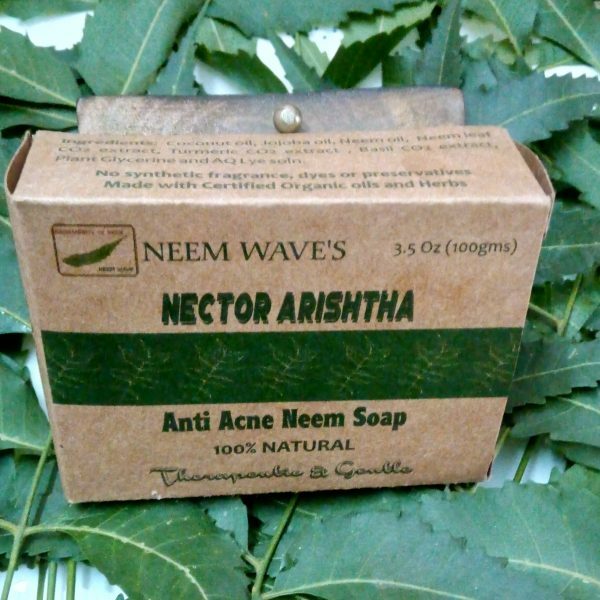 Neem oil and Neem leaf extract kills acne and pimple causing bacteria, also prevents recurrence of Pimples. 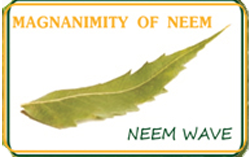 Neem oil encourages rejuvenation, the growth of new skin and reduction of scarring due to acne. Neem oil’s anti-inflammatory properties soothe pain and swelling and reduce redness. Sweet Orange essential oil’s antibacterial and skin healing properties helps to control acne. Coconut oil 0.80%, Neem oil 0.40%, Jojoba Oil 0.57%, Neem leaves Extract 0.03%, Turmeric Extract 0.10%, Basil Extract 0.10% , Neem Leaves Fine Powder 5%, Sweet Orange Essential oil 0.12%, Plant based Glycerine Soap Base. For the best results wet the face with Luke warm water to open up the pores. The fact behind the opening the pore is that oils and herbal extract present in the soap will go deep down in the skin will give their therapeutic effect. Now apply this soap nicely over the face, and leave it for two to three minutes then wash it off with the normal water.